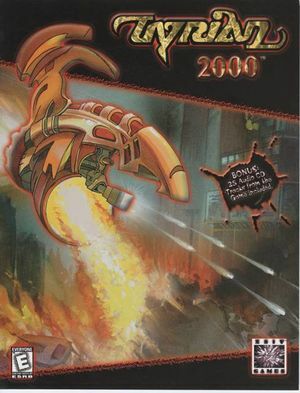 Tyrian 2000 is the re-release of Tyrian with additional content and bug fixes. Windows and OS X. Pre-packaged with DOSBox. Alternate versions and an Open Source port are also available. The Ad Lib soundtrack is available for free here. Midi files for the General MIDI soundtrack can be found for free here. 320x200 only, see the DOSBox page for more information. 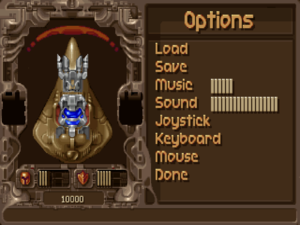 Toggle with Alt+↵ Enter (if using DOSBox). FM (Ad Lib) music is mono. 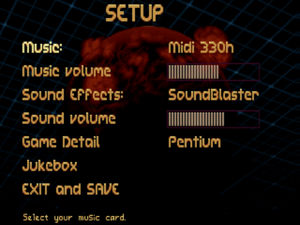 Use General Midi for Stereo music. 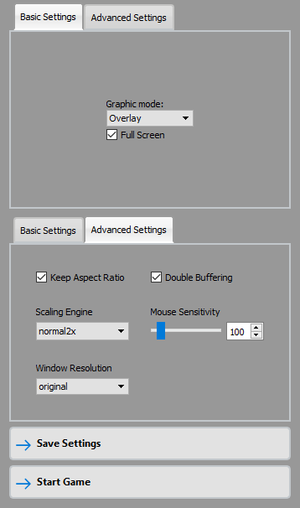 Calibrating a gamepad in-game will cause control issues due to not reaching the corners during calibration. Run the game and set your sound and detail settings. Play without using in-game calibration (calibrate in the operating system if necessary). This page was last edited on 14 April 2019, at 12:51.